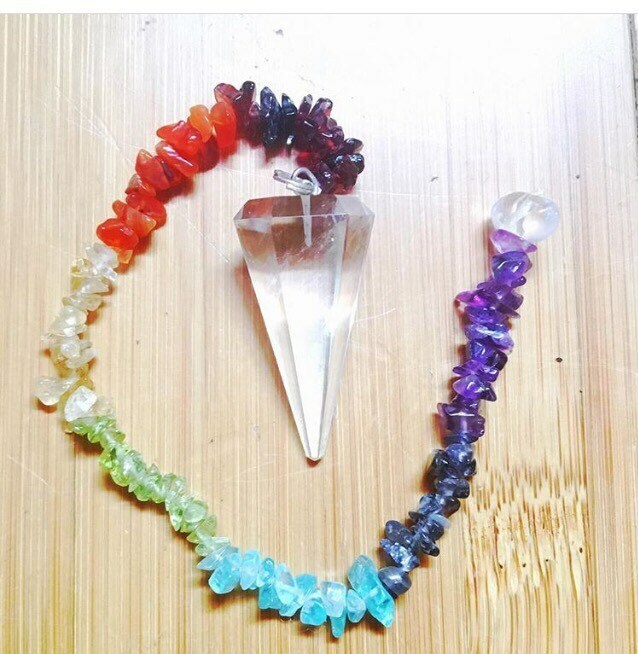 Chakra Healing Pendulum with gemstones infused w/ Reiki perfect for those interested in Dowsing, Energy Healing, and much more! 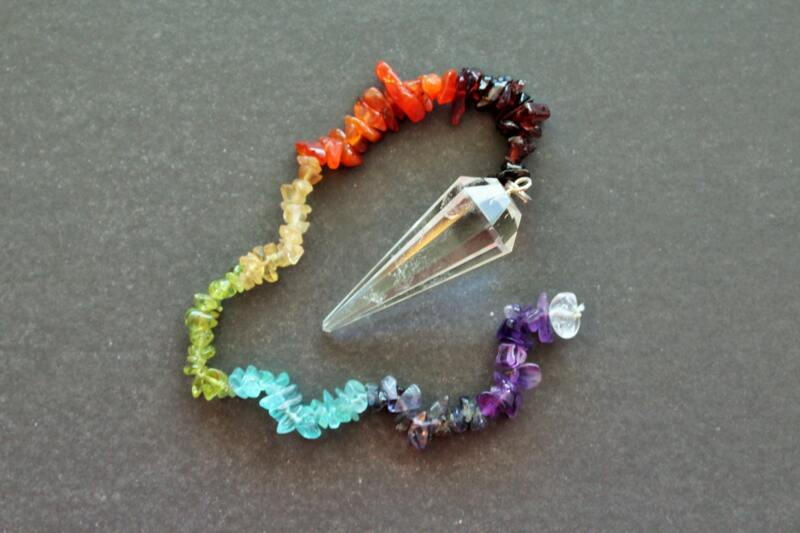 SIZE- Pendulum Quartz measures approximately 1.5" long and Chakra chain measures approximately 9" long. 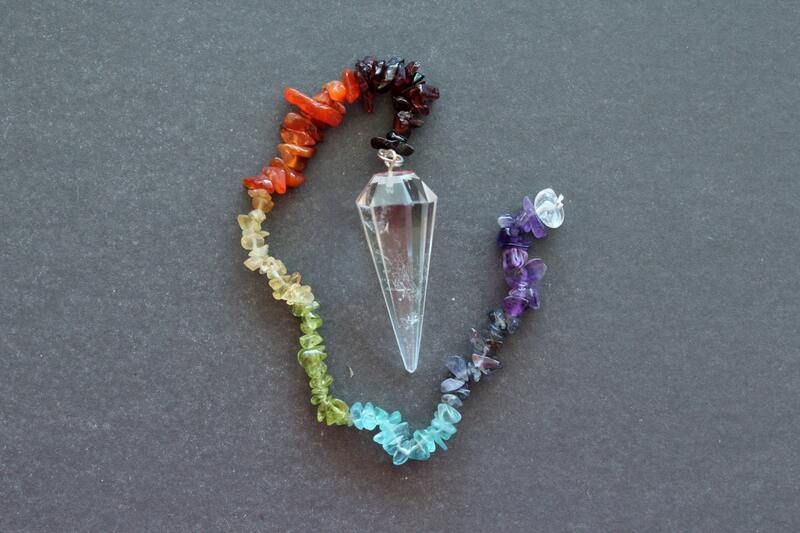 This listing is for 1 (ONE) pendulum. Garnet - Increases success in business matters & stabilizes. Sparks your inner fire. Iolite - A vision stone, clears thought forms, opening intuition. Aids in understanding & releasing the causes of addiction. Peridot - A stone of lightness and beauty, protects against negative emotions. Citrine - "Stone of the mind" brings clarity, concentration, self-esteem, confidence & motivation. 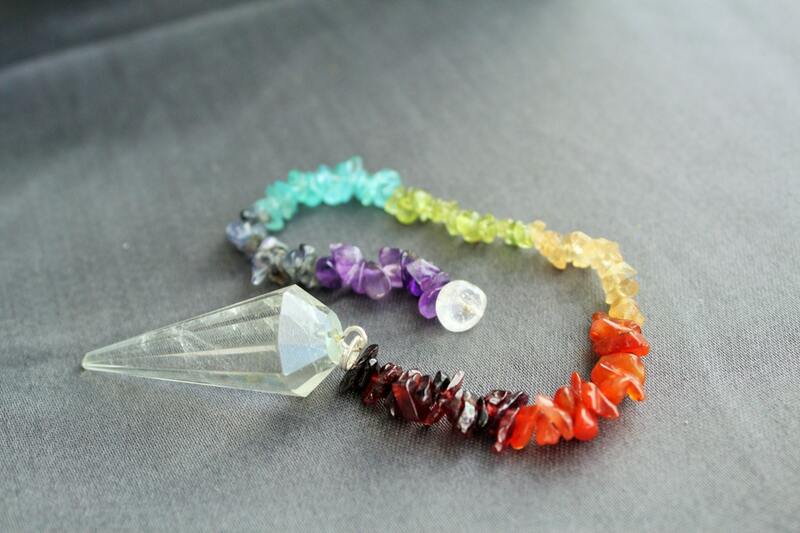 Carnelian - Helps you to find inner strength, courage & abundance. Beautiful and exactly as described. Fast and secure shipping - thank you! Beautiful and exactly as described. Very safe and speedy shipment. Thank you! Great purchase. Smooth transaction with seller.